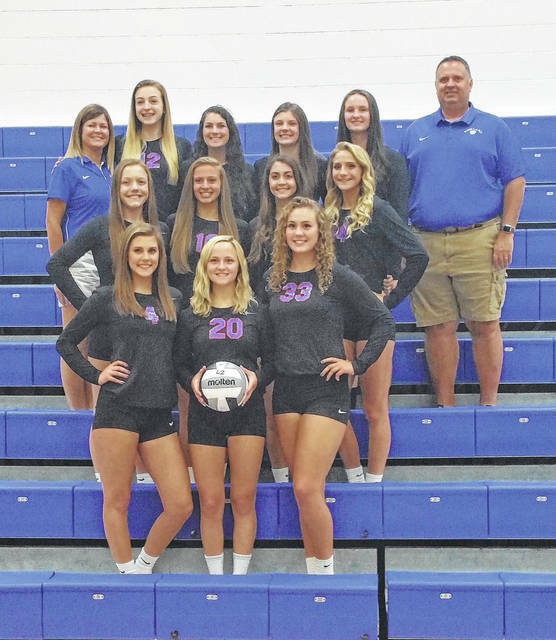 After a 27-2 season in 2016 culminating with a trip to the Division III state semifinals, the Highland volleyball team will look to keep that success going behind seven returning letterwinners. Both junior libero Bridget Oder and sophomore outside hitter/defensive specialist Raina Terry were second-team picks in the Mid-Ohio Athletic Conference last year. They’ll be joined by senior returnees Parker Steck (setter), Bailey Santo (outside hitter/defensive specialist) and Krista Walters (middle hitter); junior Kelsee Bargnesi (setter) and sophomore Gena West (middle hitter/right side hitter). The team also will be adding a few new players to the varsity in juniors Christina Rose (middle hitter) and Mikaela Brown (outside hitter) and freshman Makenna Belcher (outside hitter/defensive specialist). However, there will be some big shoes to fill, as three key players from last year’s squad graduated. The team will be without the services of Ashton Terrill, who currently plays at Northern Kentucky University after setting school records in digs and aces and being a four-year All-Ohio, Central District and MOAC player, being named Player of the Year twice in both the district and league. Also gone is Taylor Belcher, who was a first-team MOAC representative last year and now is playing for Otterbein University; as well as Kelsey Walters, who also earned all-league honors. Despite those losses, it’s hard for head coach Rob Terrill to not be optimistic about this team’s prospects. While the league has changed from the MOAC to the Knox Morrow Athletic Conference, the coach doesn’t expect much to be different. Highland’s volleyball team will try to build off last season’s trip to the state semifinals this year.